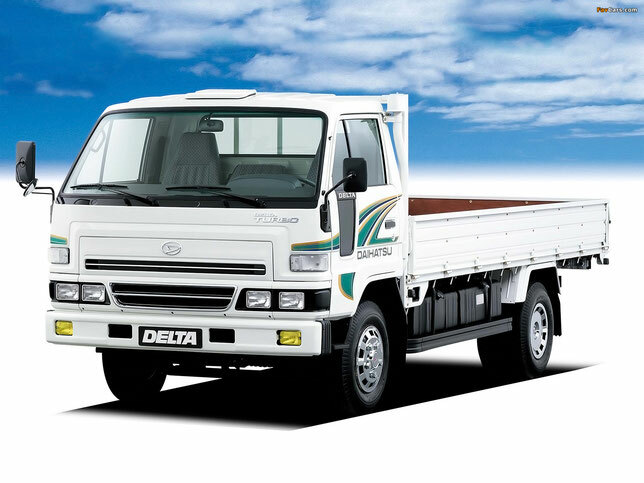 One of the smallest Japanese automobile firms "Daihatsu" for the production of light trucks, has contributed to the development of trucks much larger contribution than some major local monopolies. It began its history in 1907 as Hatsudoki Seizo Kaisha from the manufacture of bicycles, motorcycles and light engines to them. 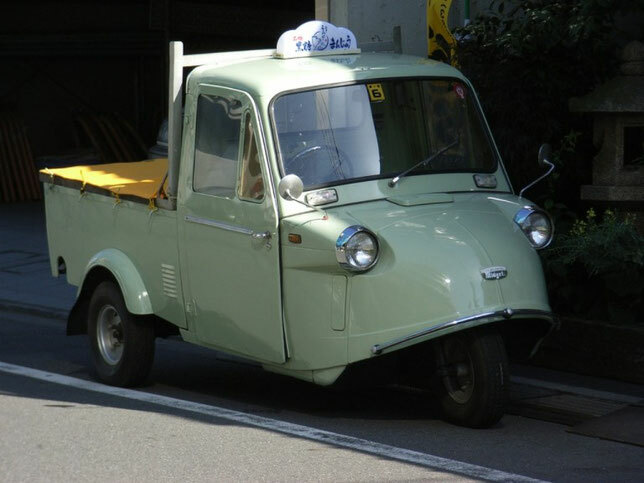 In 1930, the firm built a 3-wheeled cargo vehicle of the Daihatsu brand, and in 1937 it manufactured a 4-wheeled FA truck. 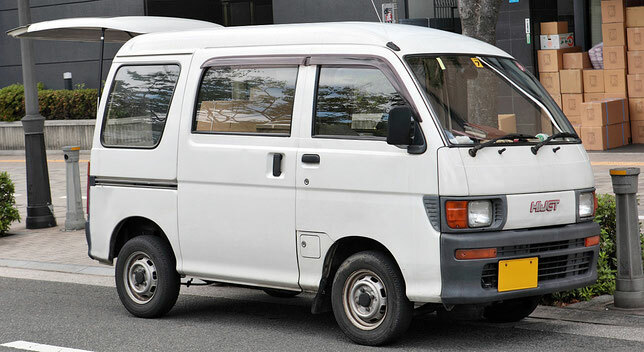 Renamed in 1951 in "Daihatsu", she began the production of a very elegant 3-wheeled Bee and a van based on it, equipped with a motorcycle 1-cylinder engine with a working volume of 250 cm3. 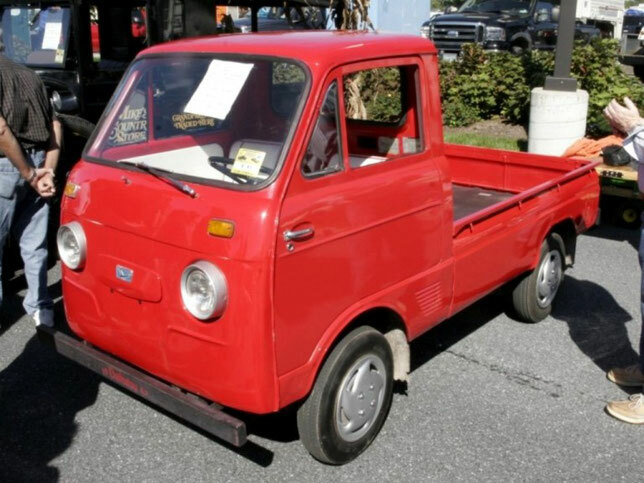 In 1957, another 3-wheel cargo series "Midget PL7" appeared with 2-cylinder 2-stroke air-cooled engines of 250 and 356 cm3, also produced in the form of truck tractors. The next generation "МР4" and "МР5" with all-metal bodies were equipped with a new 2-cylinder engine (305 cm3, 12 hp). The foundations of the family of light 4-wheel trucks "HiJet" in 1960 laid a simple hood wagon with a carrying capacity of 250 kg. On a chassis with a 2-cylinder engine (356 cm3, 23 hp). 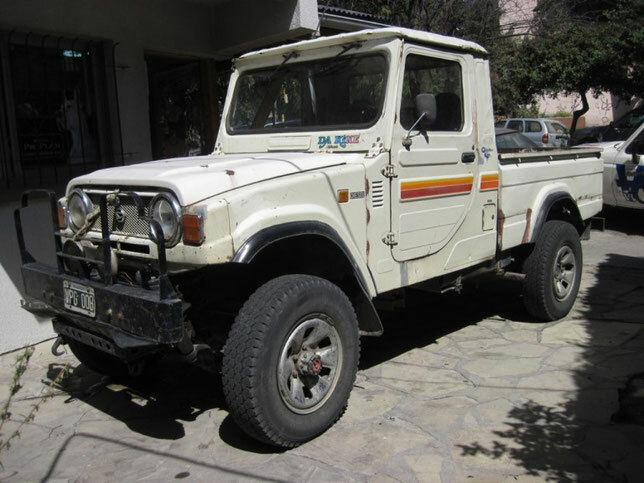 In 1976, this family was produced in the variant "550" (547 cm3, 27 hp) with a new body of wagon configuration, and from 1982 on the model "850" with a payload of 600-650 kg. 4-cylinder engine (843 cm3, 40 hp) was used. In 1961, the production of 2 tonne truckless trucks "V200" began, equipped with a petrol engine V2 (1478 cm3, 53 hp). In 1973, they were replaced by a series of "Delta" (Delta), consisting of on-board machines with a carrying capacity of 750 kg. Up to 3 tons, equipped with different gasoline or diesel units up to 75 hp. And several types of cabs over the engine. In parallel, the passenger cars produced numerous pickups "NewLine" (NewLine) and "HighLine" (HiLine) with a carrying capacity of 250-1000 kg. Achievement of a small company so great success contributed to its inclusion in 1967 in the corporation "Toyota" (Toyota).